As we reign in a new year, a lot of us have made resolutions and promises to ourselves to make healthier changes in our diets and lifestyles. To make positive changes in the world around ourselves. The world is sparkling with this resolve and positive energy, it is easy to grab this momentum to improve our health in the year to come. This doesn’t always have to mean utterly extreme or expensive changes. A simple change that will have lasting and far reaching impact on your life and family is adding an affordable water service local to you in or around Colorado. Setting up your affordable water service in Colorado is incredibly simple. There are a few things that you should consider before implementing your bottled water service at either your home or office that will make this process even easier. Look at delivery schedules and how often your bottles of water will be delivered, where or how you will store these bottles when they are not being used, the quality of the water contained within, and of course the cost of these services. After considering these simple things it is easy to see why so many people use Clearly Colorado for their affordable water delivery service. The water quality with Clearly Colorado’s filtered, bottled water is the purest available in the Colorado Front Range area. Their filtration and bottling facilities meet all state as well as federal health standards. Having this delicious drinking water on hand for all your cooking and refreshment needs will have an immediate improvement on the health and wellbeing of yourself and those around you. By replacing sugary drinks over the course of the day with a glass of water you are fighting chronic dehydration that virtually everyone suffers from. Keeping yourself hydrated improves the function of every major system in our bodies, fights daytime fatigue, can decrease headaches, and helps with that new years resolution to lose weight by improving your metabolism! 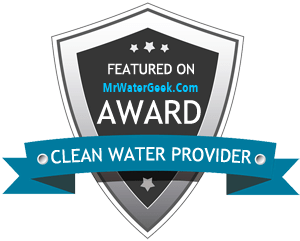 Not only does using affordable water service from Clearly Colorado have a positive impact on your health, breaking the individual bottled water habit has a drastic improvement on the environment. Even one family or office group making this switch will cut back on thousands of wasted plastic bottles in landfills across the country. Best of all you can make this change without denting your wallet or bottom line. With a Price For Life guarantee, you can rest easy in the new year knowing you have the best rates on the best purified water while supporting a local business!